Employees of postal and telecommunications of Ukraine revealed in the Kiev region kidnapper cryptocurrency appropriated bitcoins and other scriptactive users of the British crypto currency exchange, technical support in which he was engaged. According to preliminary information, in a few months he was able to steal the funds of 720 thousand UAH (more than $25 thousand). The attacker was a well-established pattern of action. First, he found the accounts that had not used, and without the protection of two-factor authorization, then changed or added a new backup email address. After a time, he also changed the passwords, withdrawal of funds, converted them through an online exchange, and spent on gambling on virtual simulators. The hacker seized digital evidence by committing the offence under article 361 of the Criminal code of Ukraine (unauthorized intervention in work of computers, automated systems, computer networks or telecommunication networks). In addition, it can be declared a suspect in the theft of funds (article 185 criminal code of Ukraine), and the postal and telecommunications decided to check the legality of the activities in the country of a number of online exchangers. We will remind that in October of last year in Kiev and Vinnytsia region were searched related to the pre-trial investigation by the Prosecutor General of Ukraine cases, the organization of financial pyramids, the extortion of funds from investors and taking them abroad through cryptocurrency is banned in the country electronic payment systems (Qiwi, WebMoney, Yandex.Money) and other financial mechanisms – with the possible participation of employees of fiscal services. 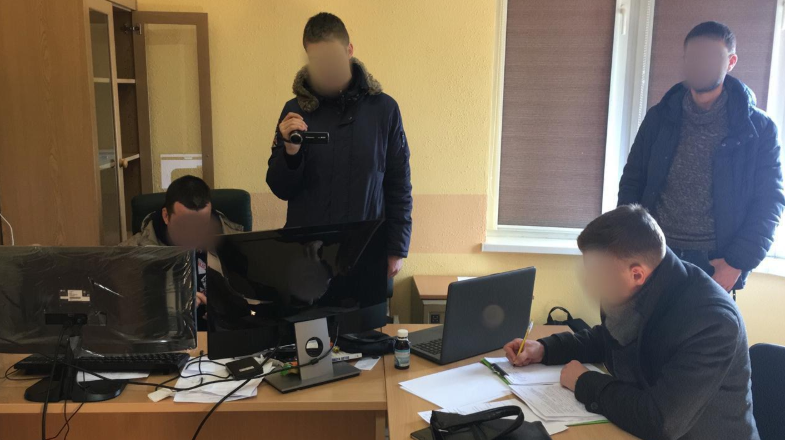 On January 31, Kiev, Kyiv, and Cherkasy oblasts during the RAID to prevent the financing of terrorism through the mining of cryptocurrency has also been conducted 13 searches, in which law enforcement seized 400 bitcoin farms, 1000 power supplies and graphics cards, hard disk drives 1500 and 500 motherboard. However, it was also revealed receipts for transfer of funds “DNR”/”LNR”.